It's A Half-Life 2 Gravity Gun. In A Bathroom. 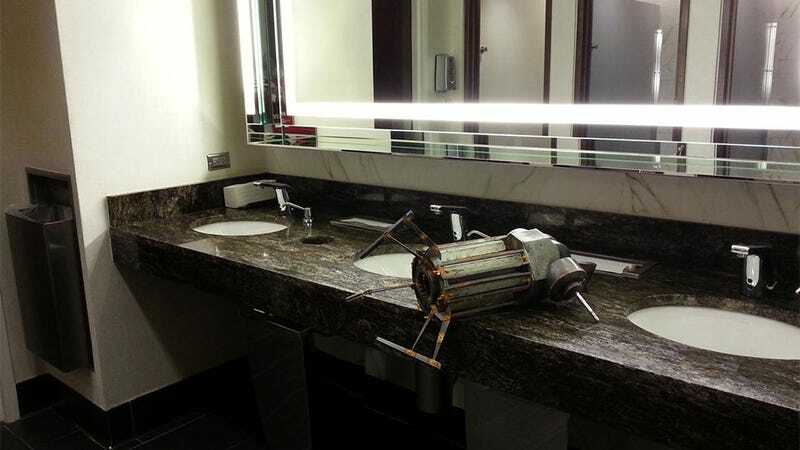 Last December, reader Michelle decided to take a swing at building her own replica gravity gun from Half-Life 2. It's done now, and it looks fantastic. It looks like it was a ton of hard work, from re-modelling the gun's 3D wireframe to laser-cutting to a ton of painting and fiddly construction, but the results are totally worth it. You can see a progress build of the gun, as well as more final shots - showing how it lights up - below.